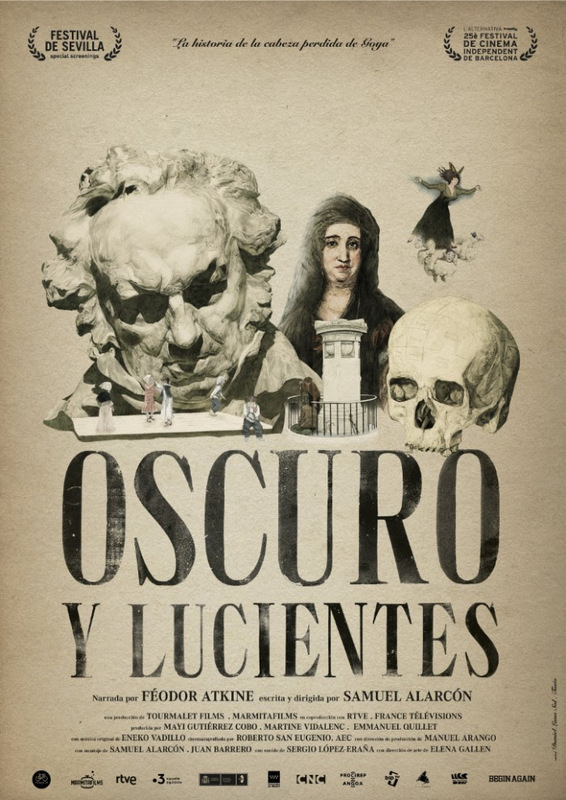 “OSCURO Y LUCIENTES” world premiere will take place at the 15º Sevilla Film Festival. This feature documentary was created and directed by Samuel Alarcón, with cinematography by Roberto San Eugenio, AEC. It was produced by Tourmalet Films in coproduction with TVE and Marmita Films. Synopsis: Goya’s body lay forgotten in a pantheon in Bordeaux. Decades later, those attending its exhumation were greatly surprised: his head had been stolen. After a nice trip in Festivals around the world (you can check it here) "NOSOTROS" came out last september 2018. The film has already been commercially released in Madrid, Barcelona, Valencia, Cádiz and Majadahonda, and it is expected to be in some other spanish cities during next months. This film was directed by Felipe Vara de Rey and produced by DeVerbena, Vermut Films, Furiosa Films and NYLON. I have recently been part of the jury at the "SALÓN INTERNACIONAL DE LA LUZ 2018", a film festival set in Bogotá, Colombia. "OSCURO Y LUCIENTES" kept me on the road all along July. This project is created and directed by Samuel Alarcón, and produced by Tourmalet Films in coproduction with TVE and Marmita Films. It is about Goya but from a different point of view. Goya's body remained forgotten in a pantheon in Bordeaux. Decades later, everyone present at the exhumation was greatly surprised: Goya’s skull was missing. I am glad to have been part of this documentary and I hope we can show the result as soon as possible. I am officially a new member of the SPANISH SOCIETY OF CINEMATOGRAPHERS (AEC). From now on, I will sign all my works as ROBERTO SAN EUGENIO, AEC. Happy to announce that I am already a new member of POINT OF VIEW, the DoP´s Agency run by Miguel Aguirre. Last september I was awarded "BEST CINEMATOGRAPHY" at the XVII International Fantastic Film Festival Costa del Sol (2016) thanks to my work in "LA AMA". "La Ama" is a low budget feature film directed by Arantza Ibarra and Luisje Moyano that was commercially released in september 2016. A frame from "LA AMA", with Antonio Mayans and Cristina Mediero. "NOSOTROS" (Dir. Felipe Vara de Rey), my third feature film as DoP (credit shared with DoP Fede Cesca), is in its final stage. Grading with Susana Muniain is done and we are about to make the final DCP.